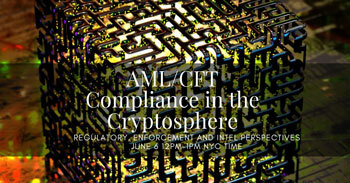 It is now essential that AML compliance suites understand the methods and avenues that criminals can take within the Cryptosphere in order to properly screen current and future clients. But, how do criminals hide their money using virtual currency and what do regulators require with regard to your AML crypto-controls? In this NoMoneyLaundering.com webinar, our expert speakers will discuss how criminals can disguise themselves in the Cryptosphere, the major recent enforcement actions involving cryptocurrency, as well as what regulatory requirements regarding virtual currency exist for financial institutions. How Bitcoin and other cryptocurrencies are so easily used by transnational criminal organizations to circumvent AML controls. 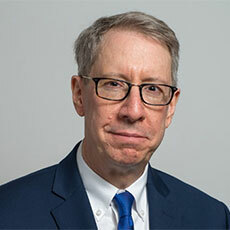 Ross S. Delston, CAMS, is an independentWashington, DC-based attorney, expert witness, and former banking regulator(FDIC). He has specialized in Bank Secrecy Act (BSA)/anti-money laundering (AML) issues for over 18 years. He has been an expert witness in numerous civil cases involving BSA/AMLissues, including a civil forfeiture action on behalf of the U.S. Attorney’s Office (SDNY) inU.S. v. Prevezon. He has also participated in monitorships for two global financial institutions, AIG and BNP Paribas. Ross has been a consultant to the IMF since 1997 and has assisted in the AML/CFT assessments of nine offshore financial centers, including Bermuda, Curacao, Gibraltar, Jersey, and St. Vincent and the Grenadines. Author, “Insights: Did FinCEN Just Burst Bitcoin’s Bubble?” Moneylaundering.com News, May 2013: http://www.jdsupra.com/legalnews/insights-did-fincen-just-burst-bitcoin-68059/#! Ross has been quoted on AML issues in the New York Times, Washington Post, Wall Street Journal, New Yorker, Bloomberg, the Nikkei (Japan) and the Hindu Business Line (India). He has spoken on AML and banking issues at conferences throughout the world, including Accra, Belgrade, Chennai, Chisinau, Colombo, Dalian, Kathmandu, Minsk, Niamey, Phnom Penh, Skopje and Zagreb. 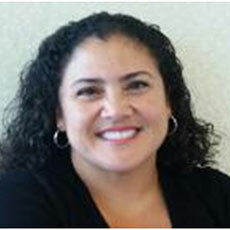 Lourdes C. Miranda is a Washington, DC-based cryptocurrency advisor, a financial crimes investigator, a Certified Anti-Money Laundering Specialist (CAMS), and a Certified Fraud Examiner (CFE)with over 25 years of government and corporate experience. Lourdes specializes in counter-threat finance including money laundering and fraud investigations, counterterrorism, counterintelligence, cryptocurrency executions and blockchain analysis; financial intelligence collection and analysis;risk management; strategic and operational analysis; and task force leadership for the Central Intelligence Agency, the Federal Bureau of Investigation, Treasury Department, the Department of Homeland Security, the State Department, as well as for the private sector. Lourdes is a former board member of Utica College’s Economic Crime & Cybersecurity Institute and has presented at Utica College as a keynote speaker, a guest speaker, a guest lecturer, a professional reader, mentored students for 23 years and contributed extensively to creating their first national security program.